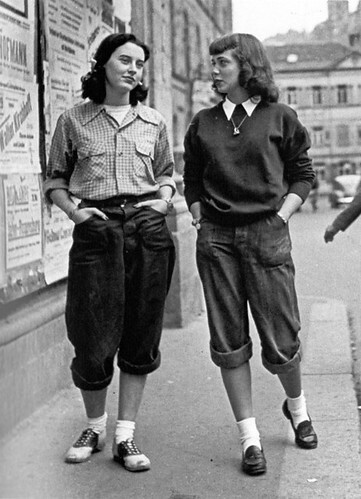 I love this street style shot from the 1950’s in London. Check out those dungarees and saddle shoes. Tres casual chic.